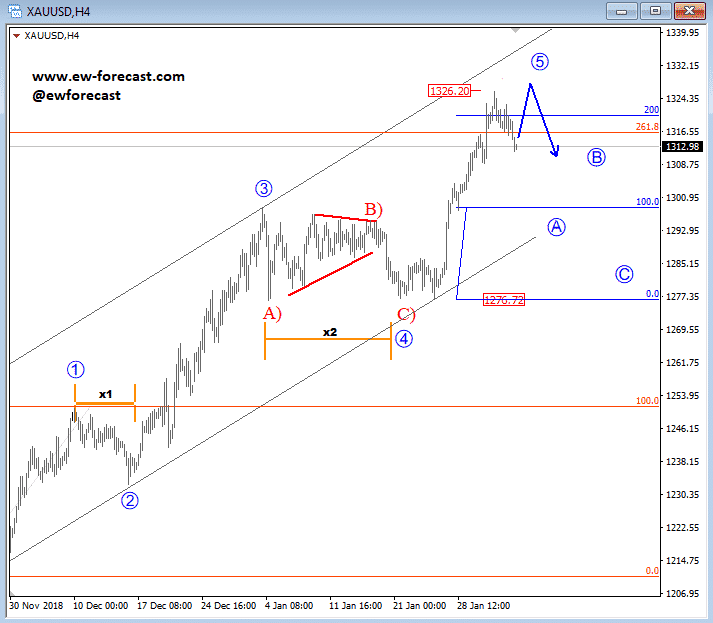 Crude oil is also unfolding final wave 5) as part of a bigger impulse, labelled as wave A. Resistance and a possible top can be found near the 56.0/57.0 area, where Fibonacci ratio of 38.2/161.8 can represent a turning point. That said, a drop in five minor waves, and below the lower Elliott wave channel line would confirm a top in place, and a three-wave reversal as wave B to be unfolding. Gold is trading bullish, unfolding five bigger waves in an impulsive manner. We can see that price found a base for corrective wave 4 of C at the 1277 level, from where a sharp and strong recovery unfolded. 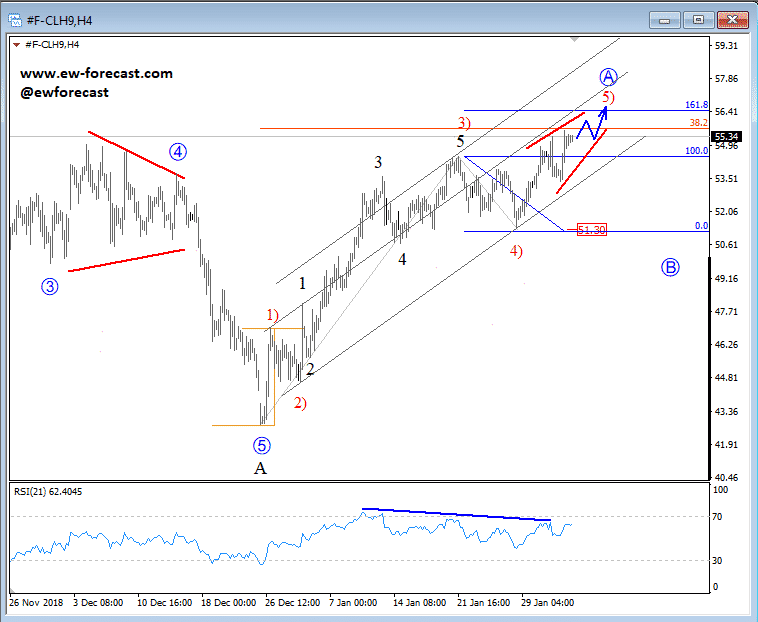 This strong recovery can be labelled as final wave 5 in progress, which can look for resistance and a bearish reversal near the 1330 region (area of Fibonacci projection zone of 200.0 and area where the upper Elliott wave channel line sits and can react as resistance). From there mentioned zone, a reversal in minimum three-waves may follow.